Add personalization and flair to your champagne or wine bottles for a distinctive way to complement a range of wedding themes and colors. 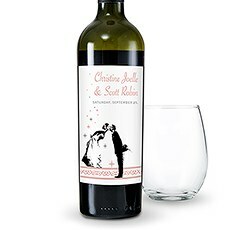 Turn an ordinary wine bottle into a swoon-worthy keepsake your guests will love with the help of our wine bottle labels at Weddingstar. Customized wine bottle labels are a super easy, economical way for you to add personalized flair and charm to your tabletop. 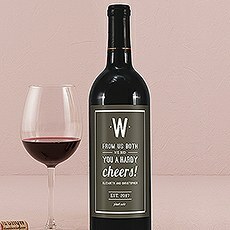 Coordinate these personalized wine labels to complement your wedding's theme and color, as well as your own personality and preferences.Match your wine bottle labels with other stationery items from Weddingstar's collection and coordinate your details to impress and amaze. Add names, dates or other sayings to these customizable wine bottle labels - personalizing our wine bottle labels is super easy! 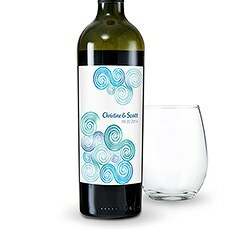 Fill in your lines with the information you want your labels to display, then preview the personalization to see how your wine labels will look. 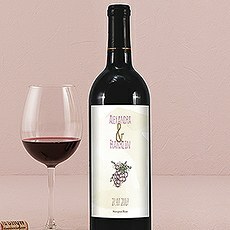 There are no surprises here!You'll love the vivid colors and bright print of these personalized wine bottle labels. Choose from many designs that will complement your wedding color, design, season, locale and more. 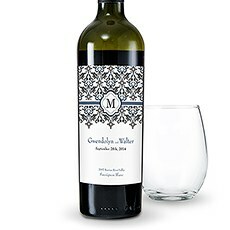 Opt for simplicity and sophisticated style with our Monogram Simplicity style, available in Elegant, Classic Filigree, Botanical Wreath, Simple Ampersand or Modern. Choose from designs that display the table number that serve both a decorative and a practical purpose. 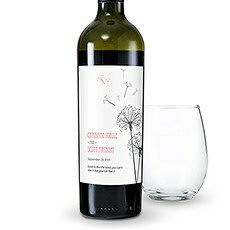 Seaside weddings will be enhanced with the Reef Coral or Sea Breeze labels.You may decide to opt for the flowers and nature signs of the seasons with the Autumn Leaf, Cherry Blossom, Zinnia Bloom or Dandelion Wishes labels. Each label is beautifully unique and will bring something special to your wedding reception or party.These attentive details will add so much to your wedding celebration while costing so little. 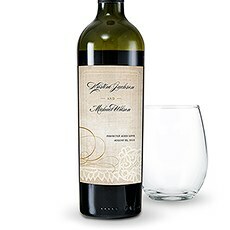 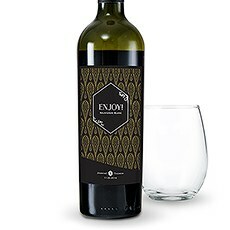 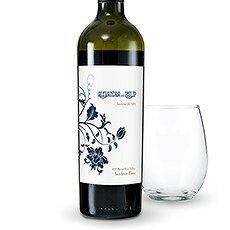 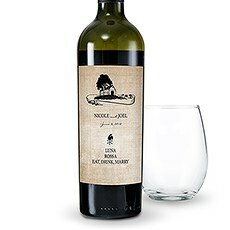 You'll be surprised at how little you have to spend to create breathtaking details and incorporate these personalized wine bottle labels into your decor repertoire.Check out the styles, colors and designs today to find the personalized wine bottle label that is ideal for you and your wedding reception.